Starting on the morning of 5 December 2011 Lords Phillips, Mance, Kerr, Clarke and Dyson will hear the eight day appeals of the Employer’s Liability Insurance “Trigger” Litigation. These are nine linked appeals to the Supreme Court arising from the deaths from mesothelioma of employees who had inhaled asbestos fibres at some point during the course of their employment. In these cases the employers or representatives of the employees seek to recover loss from the employer’s insurers. 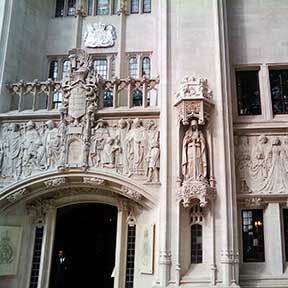 The issue for the Supreme Court to decide is what constitutes the “trigger” for liability of an insurer to indemnify the insured within the policy period, in these cases whether it is the tortious exposure of a victim to asbestos dust, or the onset of mesothelioma. For individual case details please visit the following: BAI Ltd v Thomas Bates and Son Ltd, BAI Ltd v Durham, Municipal Mutual Insurance Ltd v Zurich Insurance , Municipal Mutual Insurance Ltd v Zurich Insurance Company and Adur District Council and Ors, Independent Insurance Company Ltd v Fleming and Anor, Municipal Mutual Insurance Company v Zurich Insurance Company and Ors, Excess Insurance Company Ltd v Edwards, Excess Insurance Company Ltd v Akzo Nobel UK Ltd and Excess Insurance Company Ltd v Amec plc. On Wednesday 7 December 2011 the Supreme Court will hand down the following judgments: Aberdeen City Council v Stewart Milne Group Ltd and Russell & Ors v Transocean International Resources Ltd & Ors. On Tuesday 6 December 2011 the Privy Council will hear David Gopaul on behalf of HV Holdings Ltd v Vitra Imam Baksh on behalf of the Incorporated Trustees of the Presbyterian Church of Trinidad and Tobago, which will be heard by Lady Hale and Lords Hope, Walker, Brown and Wilson. The issue to be decided is whether the respondent’s tenancy of a church and ancillary residential accommodation from the appellant landlord constitutes a statutory lease within the meaning of the Land Tenants (Security of Tenure) Act 1981, s 4. Case details are available here. The one day appeal from the Court of Appeal of the Republic of Trinidad and Tobago of Ian Seepersad and Roodal Panchoo v The Attorney General of Trinidad and Tobago will be heard by the same panel on Wednesday 7 December 2011. The appellants were both convicted of murder and were under 18 when the offences were committed. They were sentenced to detention “during the State’s pleasure” and under The Children’s Act s 79 and 81 the Attorney General can determine the place, duration and conditions of detention. The Privy Council is to decide whether the rights of the appellants under the Trinidad and Tobago Constitution ss. 4 and 5 were violated when their continued detention was not reviewed and whether s79 and 81 are inconsistent with the separation of powers. Here are the case details. There are no judgments to be handed down by the Privy Council this week. R v Gnango, heard 11 July 2011. 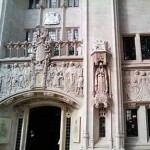 Edwards v Chesterfield Royal Hospital NHS Foundation and Botham v Ministry of Defence, heard 22 – 23 June 2011. Secretary of State for Work and Pensions v Payne & Anor, heard 4 November 2011. Leave a reply on "In the Supreme Court w/c 5 Dec 2011"